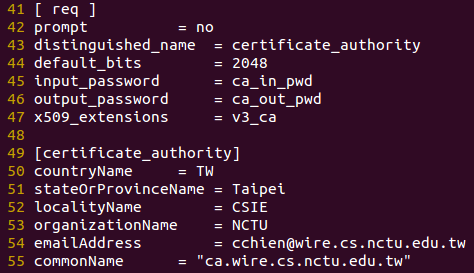 # This step creates the CA certificate. 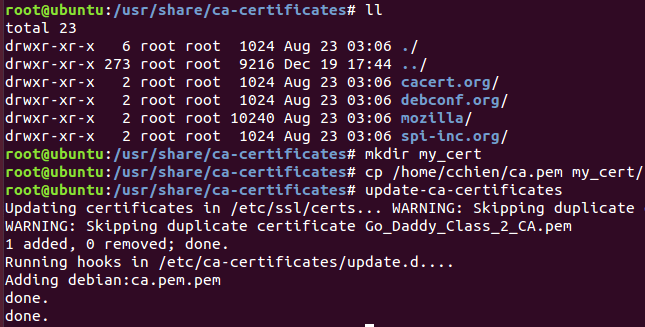 # This step creates the DER format of the self-signed certificate. 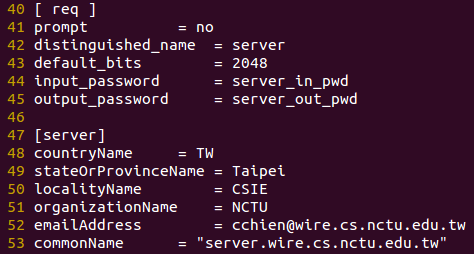 最重要的 CN (Common Name)，不可以重複，Be sure that the commonName field here is the User-Name that will be used for logins! 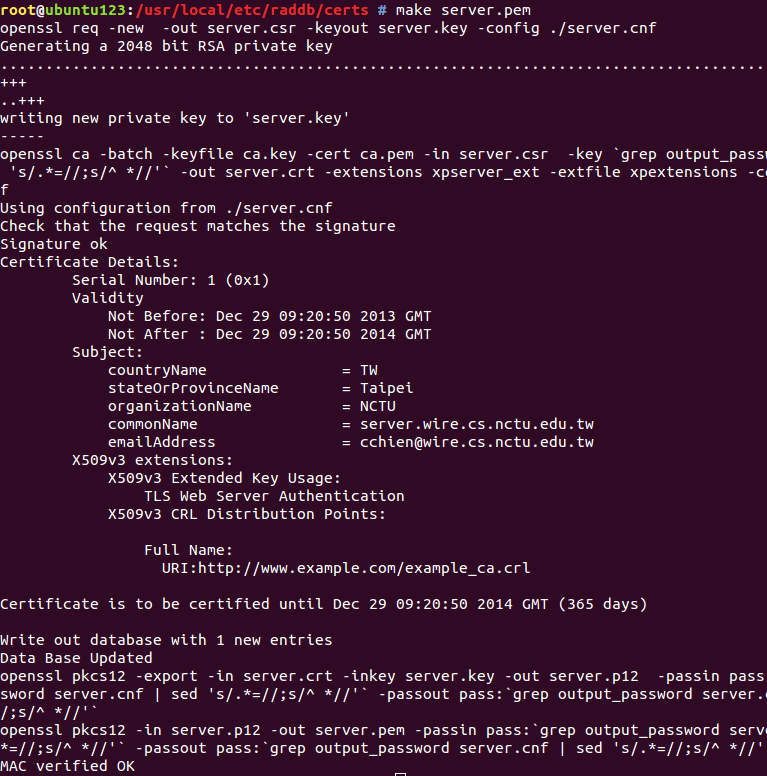 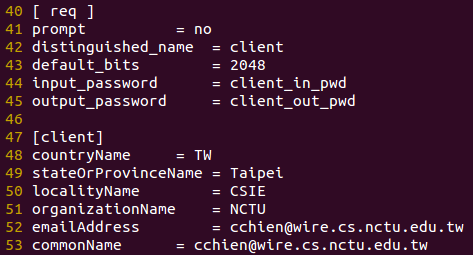 若要再製作更多 client certificate，just repeat the steps for making a client certificate. 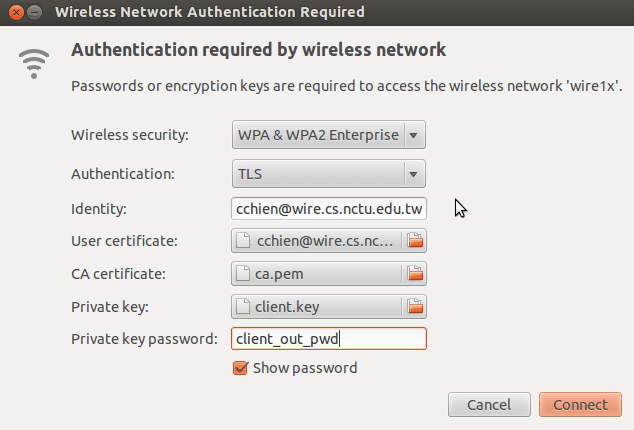 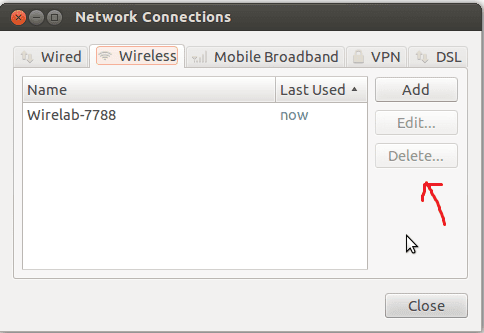 Be sure to enter a different login name for “commonName”, and a different password. 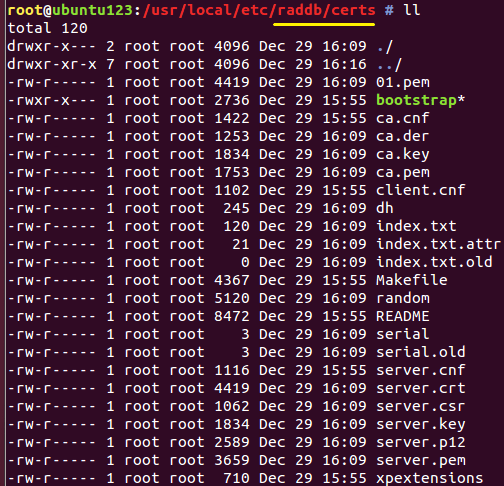 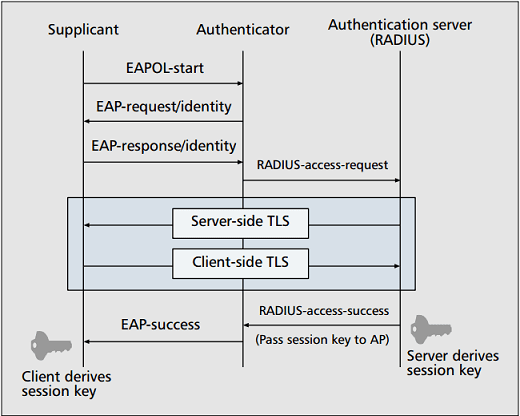 and delete the “make_cert_command” configuration from the “tls” sub-section of eap.conf.